There are those moments where taking a risk can reap wonderful rewards, and Deerhoof seems to have mastered the trick with their latest album, The Magic. The Bay Area band mates’ 15-track, genre-bending bonanza is the perfect album for those summer days spent in the park or partying all night long. Better yet, how about hearing the new tunes live? 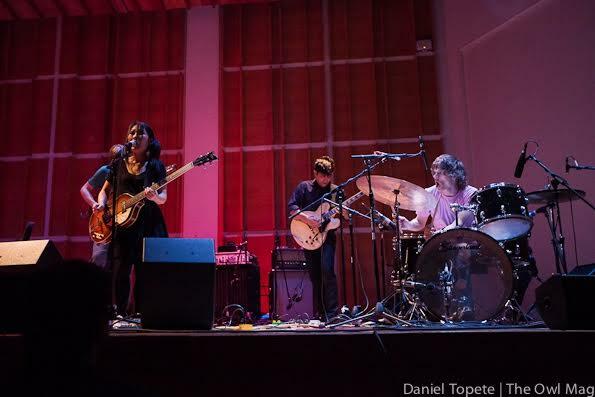 Don’t miss Deerhoof on Tuesday, July 12th at Great American Music Hall. We’ll even help you get in the door with a pair of free tickets. Send an email to contests@theowlmag.com. Be sure to include your full name in the body of the email and “Deerhoof @ GAMH” in the subject line. Emails must be received by 10AM PDT on July 8, 2016 to be considered. Not risky? You can also purchase tickets at the following link: Deerhoof @ GAMH tickets.